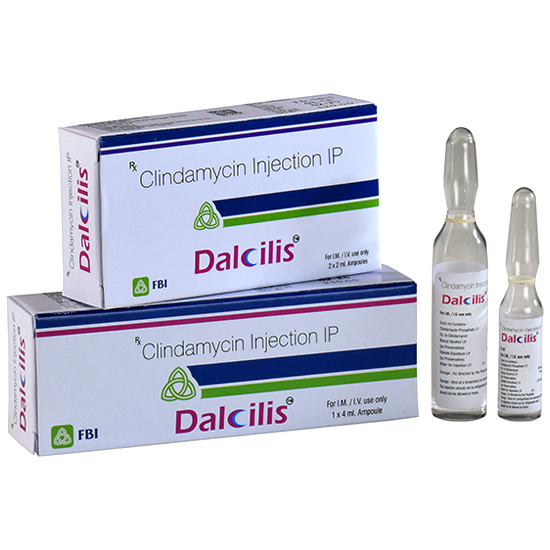 Clindamycin injection, is indicated in the treatment of serious infections caused by susceptible anaerobic bacteria. 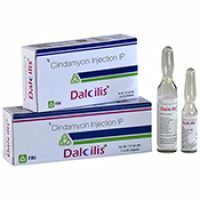 Clindamycin injection is also indicated in the treatment of serious infections due to susceptible strains of streptococci, pneumococci, and staphylococci. Its used should be reserved for penicillin-allergic patients or other patients for whom, in the judgment of the physician, a penicillin is inappropriate. Because of the risk of antibiotic-associated pseudomembranous colitis. 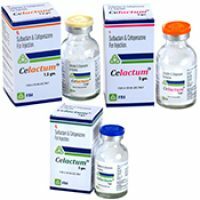 Before selecting clindamycin the physician should consider the nature of the infection and the suitability of less toxic alternatives (e.g..erythromycin). 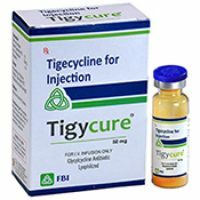 Clindamycin injection is indicated in the treatment of serious infections caused by susceptible strains of the designated organisms in the conditions listed below. Lower respiratory track infections including pneumonia ,empyema, and lung abscess caused by anaerobes , Streptococcus pneumonia, other streptococci (exceptE.faecalis), and Staphylococcus aureus. Intra abdominal infections including peritonitis and intra abdominal abscess caused by susceptible anaerobic organisms. Sept cemia caused by Staphylococcus aureus, streptococci(except Enterococcus faecalis), and susceptible anaerobes. Bone and joint infections including acute hematogenous osteomyelitis caused by staphylococcus aureusand as adjunctive therapy in the surgical treatment of chronic bone and joint infection due to susceptible organisms. To reduce the development of drug resistant bacteria and maintain the effectiveness of Clindamycin injection, and other antibacterial drug, Clindamycin injection should be used only to treat prevent infections that are proven or strongly suspected to be caused by susceptible bacteria. When Culture and susceptible information are available , they should be considered in selecting or modifying antibacterial therapy. In the absence of such data, local epidemiology and susceptibility patterms may contribute to the empiric selection of therapy. 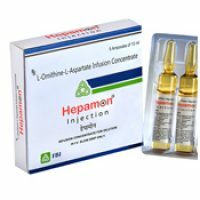 This drug is contraindicated in individuals with a history of hypersensitivity to preparations containing clindamycin or lincomycin. Review of experience to date suggest that a sub group of older patients with associated severe illness may tolerate diarrhea less well. When clindamycin is indicated in these patients, they should be carefully monitored for change in bowel frequency. Certain infections may require incision and drainage or other indicated surgical procedures in addition to antibiotic therapy. The use of clindamycin may result in over growth of nonsusceptible organisms – particularly yeasts. Should superinfections occur, appropriate measures should be taken as indicated by the clinical situation. Clindamycin should not be injected intravenously undiluted as a bolus, but should be infused over at least 10 to 60 minutes. 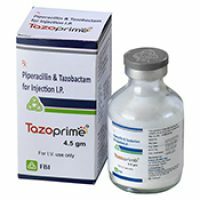 Prescribing clindamycin injection in the absence of a proven or strongly suspected bacterial infection or a prophylactic indication is unlikely to provide benefit to the patient and increase the risk of the development of drug-resistance bacteria. Patients should be counseled that antibacterial drugs including clindamycin injection should only be used to treat bacterial infections. They do not treat viral infection (e.g.the common cold). 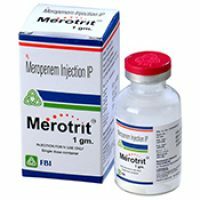 When clindamycin injection is prescribed to treat bacterial infection, patients should be told that although it is common to feel better early in the course of therapy, the medication should be taken exactly as directed. Skipping doses or not completing the full course of therapy may (1) decrease the effectiveness of the immediate treatment and (2) increase the likelihood that bacteria will develop resistance and will not be treatable by clindamycin injection or other antibacterial drugs in future. Clindamycin has been shown to have neuromuscular blocking properties that may enhance the action of other neuromuscular blocking agents. Therefore, it should be used with caution in patients receiving such agents. Antagonism has been demonstrated between clindamycin and erythromycin in vitro. Because of possible clinical significance, the two drug should not be administered concurrently. Long-term studies in animals have not been performed with clindamycin to evaluate carcinogenic potential. Genotoxicity tests performed included a rat micronucleus test and an Ames Salmonella reversion test. Both test were negative. Fertility studies in rats treated orally with up to 300mg/kg/day (approximately 1.1 times the highest recommended adult human dose based on mg/m2) revealed no effects on fertility or mating ability. Clindamycin should be used during the first trimester of pregnancy only if clearly needed. There are no adequate and well-controlled studies in pregnant women during the first trimester of pregnancy. 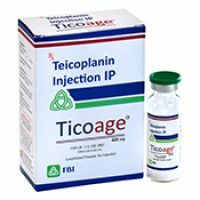 Because animal reproduction studies are not always predicative of the human response, this drug should be used during pregnancy only if clearly needed. Reproduction studies performed in rats and mice using oral doses of clindamycin up to 600 mg/kg/day (2.1 and 1.1 times the highest recommended adult human dose based on mg/m2, respectively) or subcutaneous doses of clindamycin up to 250 mg/kg/day (0.9 to 0.5 times the highest recommended adult human dose based on mg/m2, respectively) revealed no evidence of teratogenicity. 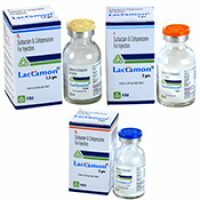 Clindamycin has been reported to appear in breast milk in the range of 0.7 to 3.8 mcg/mL at dosages of 150 mg orally to 600 mg intravenously. Because of the potential for serious adverse reactions in nursing infants, clindamycin should not be taken by nursing mothers. When Clindamycin is administered to the pediatric population (birth to 16 years) appropriate monitoring of organ system functions is desirable. This product contains benzyl alcohol as a preservative. Benzyl alcohol has been associated with a fatal “Gasping Syndrome” in premature infants. Clinical studies of clindamycine did not include sufficient number of patients age 65 and over the determine whether they respond differently from younger patients. However, other reported clinical experience indicates that antibiotic-associated colitis and diarrhea (due to clostridium difficile) seen in association with most antibiotics occur more frequently in the elderly (>60 years) and may be more severe. These patients should be carefully monitored for the development of diarrhea. Pharmacokinetic studies with clindamycin have shown no clinically impotant difference between young and elderly subjects with normal hepatic function and normal ( age-adjusted ) renal function after oral or intravenous administration. Antibiotic-associated colit, pseudomembranous colitis, abdominal pain, nausea, and vomiting. The onset of pseudomembranous colitis symptoms may occur during or after antibacterial treatment. 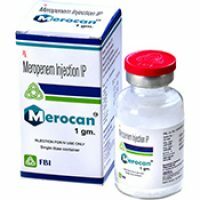 An unpleasant or metallic taste has been reported after intravenous administration of the higher doses of clindamycin phosphate. Maculopapular rash and urticaria have been observed during drug therapy. Generalized mild to moderate morbilliform- like skin rushes are the most frequently reported of all adverse reactions. Severe skin reactions such as Toxic Epidermal Necrolysis, some with fatal outcome, have been reported. Case of Acute Generalized Exanthematous Pustolusis (AGEP), erythema multiforme , some resembling Stevens-Johnson syndrome, have been associated with clindamycin. Anaphylactic shock, anaphylactic reaction and hypersensitivity have also been reported. Pruritus, vaginitis, angioedema and rare instances of exfoliative dermatitis have been report. Jaundice and abnormalities in liver function tests have been observed during clindamycin therapy. Although no direct relationship of clindamycin to renal damage has been established, renal dysfunction as evidenced by azotemia, oliguria, and/or proteinuria has been observed. Significant mortality was observed in mice at a intravenous dose of 855 mg/kg and in rats at an oral or subcutaneous dose of approximately 2618 mg/kg. In the mice, convulsions and depression were observed. If diarrhea occurs during therapy, this antibiotic should be discontinued. Serious infection due to aerobic gram-positive cocci and the more susceptible anaerobes (NOT generally including Bacteroides fragilis , Peptococcus species and Clostridium species other than clostridium perfringens): 600 to 1200 mg/day in 2,3 or 4 equal doses. 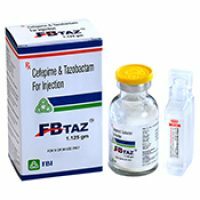 More severe infections, particularly those due to proven or suspected Bacteroides fragilis, peptococcusspecies, or clostridium species other than Clostridium perfringens: 1200 to 2700 mg/day in 2,3 or 4 equal doses. For more serious infections, these doses may have to be increased. 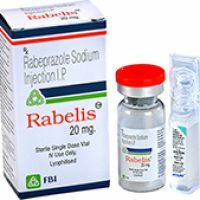 In life-threatening situation due to either aerobes or anaerobes these doses may be increased. Doses of as much as 4800 mg daily have been given intravenously to adults. 20 to 40 mg/kg/day in 3 or 4 equal doses. The higher doses would be used for more severe infections. As an alternative to dosing on a body weight basis, pediatric patients may be dosed on the basis of square meters body surface : 350 mg/m2/day for serious infections and 450 mg/m2/day for more severe infections. 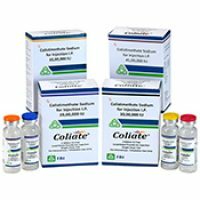 Parenteral therapy may be changed to clindamycin palmitate hydrochloride for oral solution or clindamycin capsules (Clindamycin hydrochloride) when the condition warrants and at the discretion of the physician. In case of B-hemolytic streptococcal infections, treatment should be continued for at least 10 days. Storage: Store at a temperature not exceeding 30’C. The injections should not be refrigerated and it should not be allowed to freeze. 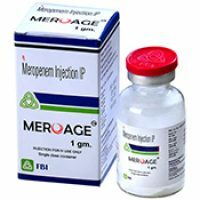 Presentation : Available in Pack of 2 ml & 4 ml.